Online Sales of Illegal Opioids from China Surge in U.S. Among the sneakers, diapers, and pet food for sale on Taobao, China’s biggest e-commerce platform, is a listing that may take up a little more space in the online shopping basket. The Chinese e-commerce giant is pulling out all the stops to impress America at Gateway ’17, its biggest-ever public event in the United States. We underestimate China — and attribute all of its surge in growth to unfair trade practices — at our peril. 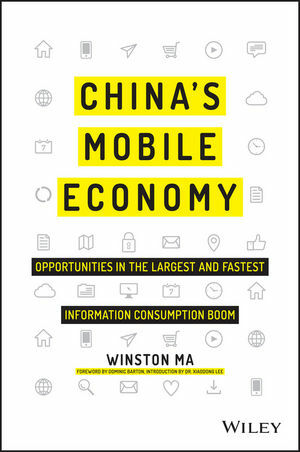 China has been fast and smart at adopting new technologies, particularly the mobile internet. The Alibaba Group signaled on Thursday that for all the global worries about China’s rising debt and bloated state industries, its economy still enjoys a strong pillar of support: online shoppers. A report issued by the Ministry of Commerce on Thursday said China may buy further goods from the U.S., including crude and refined oil products, cotton and machine tools. Jack Ma announced on Tuesday that Alibaba will host a two-day conference in Detroit in June to teach U.S. businesses how to sell to the company’s 443 million customers in China on the world’s biggest e-commerce site. Why Is EBay Returning to China? EBay recently announced that it’s partnering with Ningbo, a major port and manufacturing hub, to help boost the city’s e-commerce with the rest of the world. That’s a farsighted move. Alibaba is pushing further into the very sector that it helped to disrupt with a $2.6 billion bid for Intime Retail, a department store and mall operator in China. Uber’s new vision for China includes two new offerings, UberLIFE and Uber + Travel, which will roll out across China this year. E-commerce giant has said it would spare no expense in cracking down on sellers of fake goods on its sites; Ma’s latest comments irk brands. Alibaba pledged to pull down links to products with Confederate flag imagery in the wake of the shooting in South Carolina. Alibaba’s been more tentative in the U.S. than it has in China, because it is a latecomer in a mature market. In case you missed the media hype and have no idea why November 11 (11/11) is significant, it’s China biggest e-commerce sales day. Think of it as an amalgamation of all of North America’s biggest online retail days into one… on steroids. From 2003 to 2013, the number of county-level e-commerce merchants grew from tens of thousands to hundreds of thousands, and to millions. A former employee says Jack Ma sees himself as an artist, not a businessman. Now that smartphones account for over 80 percent of China’s new phone sales, it’s inevitable that the m-commerce sector is growing faster than the ecommerce industry itself.